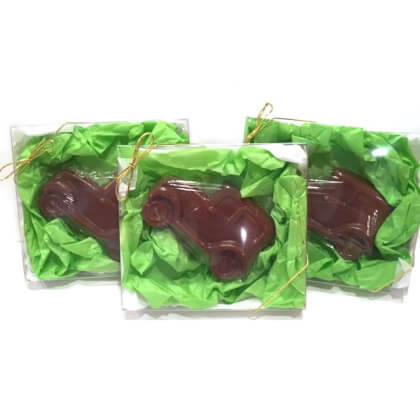 Delicious solid milk chocolate antique car. Approx. 5 inches wide and net weight is 4.75 oz. Tissue colors will vary depending on availability.